Welcome to North Georgia Pediatric Dentistry! We have put together a special team that genuinely loves children first and will uphold their feelings and any possible concerns about dentistry so they may have a life full of positive oral health experiences. 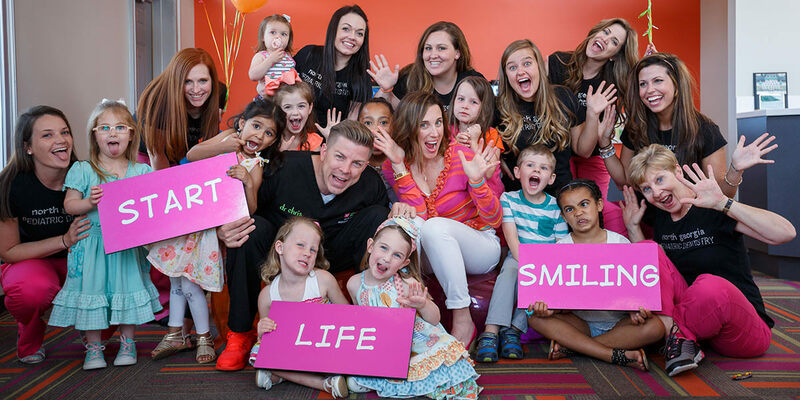 With extensive experience in many facets of pediatric dentistry, our team truly cares about every child who comes to visit us and strives to make a difference in that child’s life by making the dental visit special, fun and non-threatening. This custom website is also a smartphone application that has been designed to deliver the key information you need when visiting our office. It’s easy to give us a call or find directions. Please visit the share page to learn how to load our application on your smartphone. We look forward to having your child as a patient and thank you for selecting us for your child’s dental care. We focus on the needs of each child to provide a comfortable patient experience in a relaxing and modern environment. If you haven’t already scheduled your child’s appointment, please give us a call today.